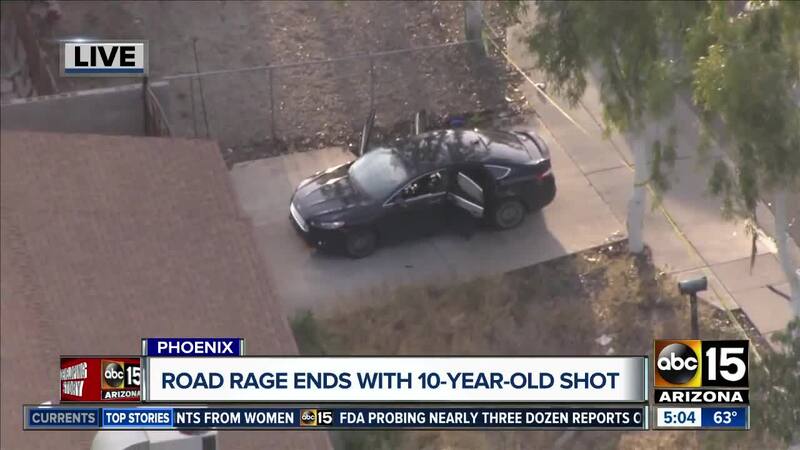 The Phoenix community gathered outside the home of 10-year-old Summerbell Brown on Friday night to hold a vigil for the 10-year-old girl who was shot and killed during a road rage shooting incident earlier in the week. 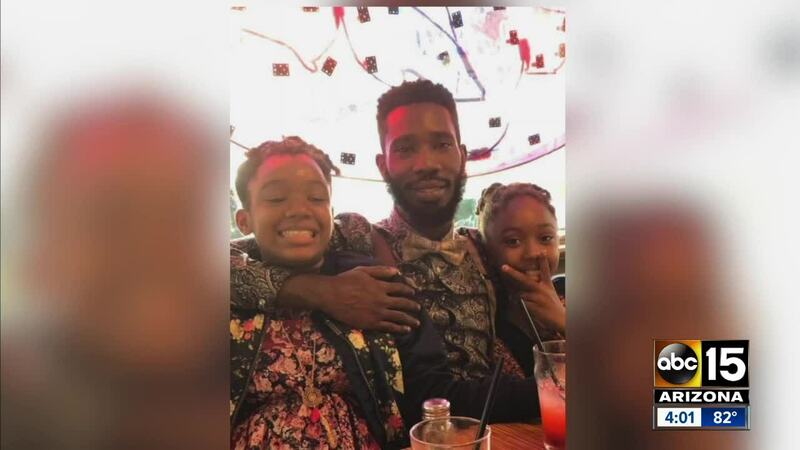 Police have arrested a suspect after a 10-year-old girl was shot and killed in an apparent road rage incident on Wednesday night. Officers say the shooting happened around 5:45 p.m. Wednesday near Interstate 10 and 39th Avenue. 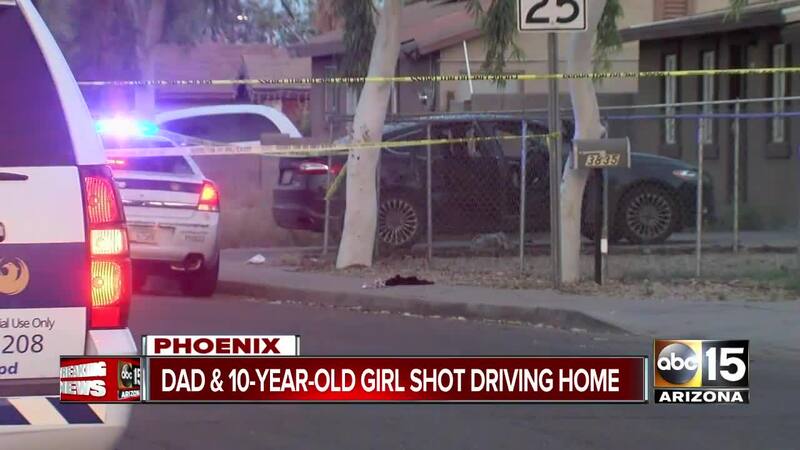 Phoenix police tell ABC15 that 10-year-old Summerbell Brown was in a car with her father, mother and sister traveling down Moreland Street, when a white four-door pickup truck started following them. Police say the Browns' car may have cut off the pickup while driving north on 37th Avenue. When the family pulled into the driveway of their home, someone in the truck opened fire on their vehicle before taking off in an unknown direction. Police say Summerbell and her father Dharquintium were shot. 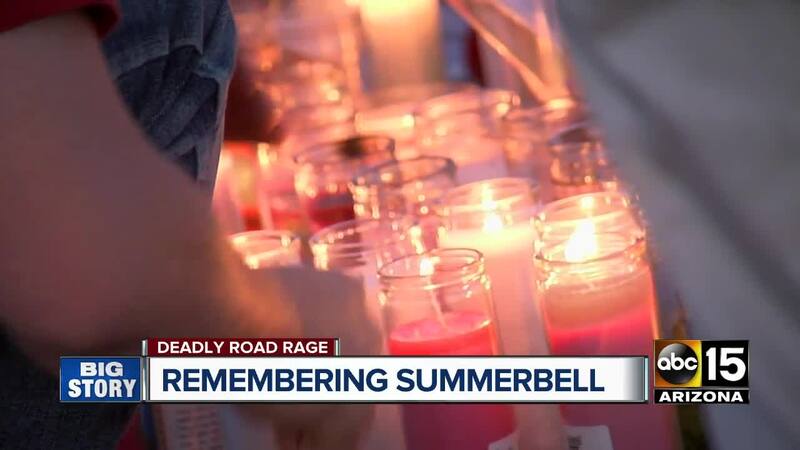 Summerbell died from her injuries Thursday morning, according to police. Her father was treated at the hospital and later released. The mother and other daughter were not injured. "This nightmare is going to replay in my head forever," Taniesha Brown said of her daughter. "I can't sleep. I hope she's at peace." It is unclear at this time what prompted the suspect in the pickup to start shooting, but police suspect road rage may be to blame. "He was ready to start shooting. I got out of my vehicle, and asked him, 'What's going on?' Because he stopped at my house," said Dharquintium. "I asked him, 'What's up?' And he just got to firing. He shot my car, and he shot me, and he shot up my house and he killed my daughter." 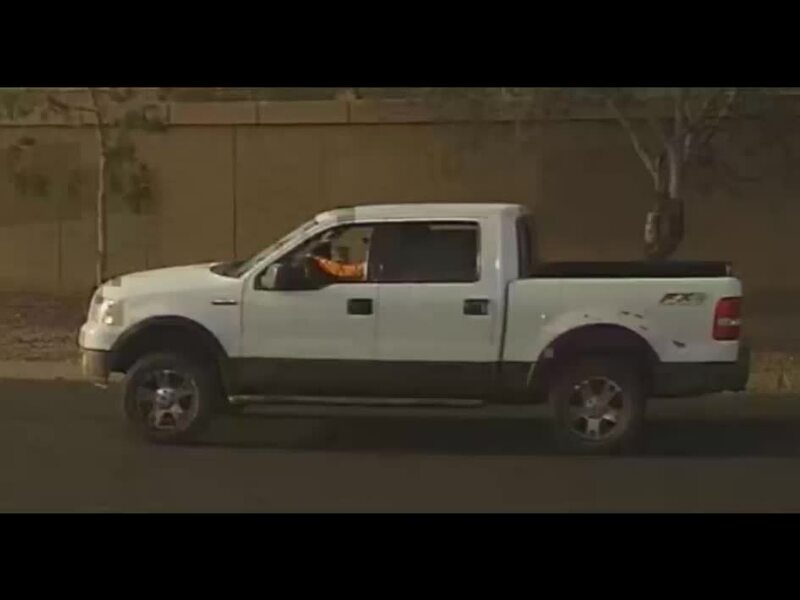 JUST IN: #Phoenix police release surveillance video of the truck involved in an apparent road rage shooting that left a 10-year-old girl dead and her father injured yesterday. On Thursday, police released a sketch of the suspect and information about the vehicle believed to be involved, including surveillance video that shows a truck closely following the family's vehicle in a neighborhood. Police received a tip from the community that led them to the suspect's vehicle at a home near 61st Avenue and Indian School Road Thursday night. Court paperwork says investigators watched as the suspect, later identified as 20-year-old Joshua Gonzalez, washing a Ford F-150 that matched the one seen on surveillance video. Gonzalez then changed the rims and tires on his truck. When a marked police vehicle happened to drive by, police say Gonzalez moved to block the driver side section of the truck bed, where surveillance video showed the truck had visible damage, as if to block it from the view of police. After getting a search warrant, police found a 9 mm handgun that was forensically linked to shell casings found at the scene of the shooting. In an interview at police headquarters, officers say Gonzalez repeatedly denied any involvement in the case. Gonzalez was arrested and booked into jail on a charge of first-degree murder and three counts of aggravated assault. Police say they have had numerous contacts with the suspect in the past. 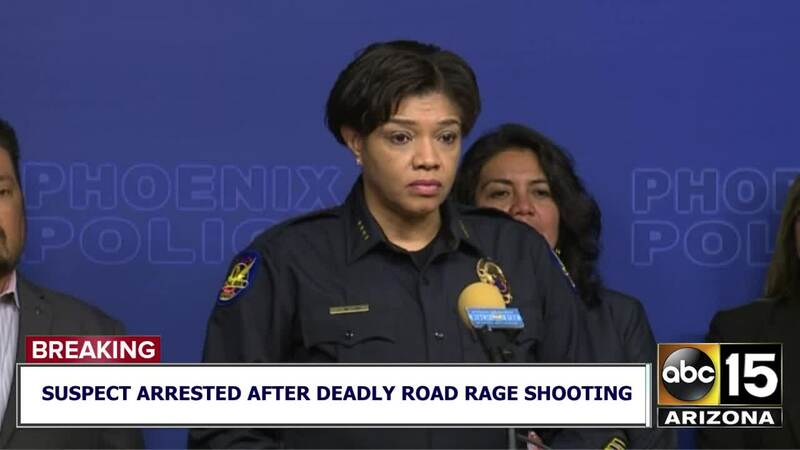 The incident marks the seventh road rage attack ABC15 has reported on so far in 2019, and the fifth in just the last three weeks. Police offered safety information for others concerned about dangers from other drivers on the road. "Get to a safe location, and if you can't, and you have the ability to make a phone call, go ahead and call Phoenix police or call 911. Let them know that you're being followed by an aggressive driver," Lewis said. 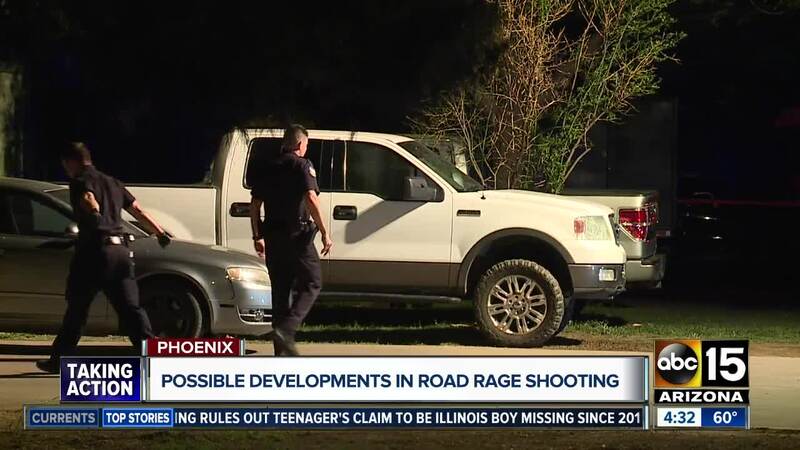 See where the media-reported road rage shootings have occurred in the Valley in 2019.